‘Wrecked’ is the debut album from the Polish thrash metal band Brainwashed. It doesn’t take long before the opening track ‘Bringing Out Of Death’ shows it’s true colors as the latest addition to the current thrash metal revival. 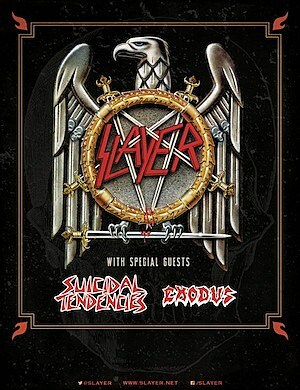 You could call this a tribute the old school thrash metal, as this band started its career in 2004, so long after the golden age of thrash metal and the rise of the Big Four. The guitar riffs are pretty much what you would expect to hear from any band of this genre. The vocals remind of old Metallica as do some of the guitar solos on tracks such as ‘I, Leader’. There’s nothing old school about the title track ‘Wrecked’ however, which owes more to the likes of Municipal Waste than to ’80s thrash metal. Luckily that doesn’t make the solos any worse than those on the previous tracks. In fact there’s something really catchy about the chorus and the riffs fit the overall style of the track. I’m not too keen on the change in vocal style on ‘Beast Within Me’; which is a shame in a way as the music itself isn’t too bad. Similar things apply to ‘Give Me Your Blood’ which, despite the variation of vocal style and overall song structure, retains some consistency when it comes to the guitar solos. Other noteworthy tracks include: the old school style ‘Voices In My Head’, which features a good guitar solo, and ‘The Battle/Back To War’ which reminds me of the early works by Exodus. 3.5/5 – Overall not bad but somewhat lacking in consistency.